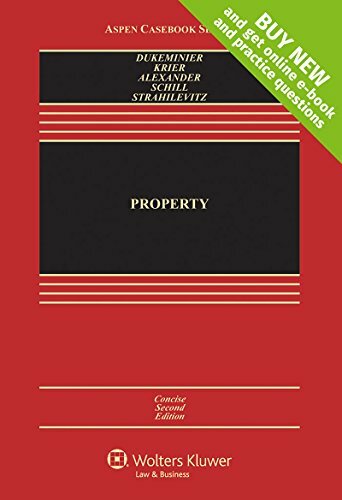 A concise edition of the legendary casebook, Property: Concise Edition, 2E is perfectly suited for use in a four-credit course. Jesse Dukeminier’s trademark wit, passion, and human interest perspective has made Property, now in its Eighth Edition, one of the best—and best loved—casebooks of all time. A unique blend of authority and good humor, you’ll find a moveable feast of visual interest, compelling cases, and timely coverage of contemporary issues.